This new film has all the benefits of traditional 3M Sun Control Window Films with the added benefit of saving more energy and providing temperature control. Thinsulate provides climate control all year by retaining heat in winter and rejecting it in summer. The interior of the film uses a patented construction to keep heat inside, finally eliminating the telltale draft found in unprotected windows. This leads to a more comfortable building as heaters and air conditioners do not have to be adjusted throughout the day. NuVision Window Film & Graphics offers the new 3M Thinsulate Window Films, part of the 3M Climate Control Series for Wisconsin businesses and residences.  Which 3M Window Film Service Are You Interested In? For most people, there are two primary reasons for installing window films: rejecting heat to increase comfort and fade protection from damaging UV rays for furnishings. For A Free Thinsulate Installation Quote Today. 3M Thinsulate Window Film offers homes and businesses Low-E (low emissivity). Rather than having to replace all of your windows to achieve better energy savings, you just need NuVision experts to install window films. This saves an incredible amount of time, labor, and money. Once window films are applied, there are additional energy savings to be had. In winter, many Wisconsin and Illinois homeowners simply accept high heating bills. With Thinsulate, heat is kept inside where it belongs, no longer able to escape through unprotected windows. This lowers the overall costs as the heat doesn’t have to compensate for this loss anymore. The UV rays found in direct sunlight are the main source of fading in furniture, carpets, and décor. Thinsulate is capable of blocking up to 99% of UV rays, preventing the fading process. Everything from fabrics to wood will be protected from sun damage with our expertly applied window films. Older buildings especially benefit from this added protection to historical features. Another 3M product, Daylight Redirecting film, will allow you to take advantage of natural light during the day. Like all 3M window films, Thinsulate doesn’t drastically change the appearance of your windows. Instead of using and installing heavy blinds or curtains which block your view, your windows can remain unobstructed. Window films are virtually invisible when applied correctly by NuVision technicians. Want to more about 3M Thinsulate Window Film Climate Control Series? Businesses use 3M Thinsulate to improve their office energy savings and overall efficiency. Applying Thinsulate window films is less disruptive than having to completely remove and replace each and every window at your commercial building. Instead of weeks of construction, our NuVision window film professionals will be in and out quickly.  Another benefit of 3M Thinsulate for businesses is keeping employees, customers, and visitors comfortable. There won’t be fighting over the thermostat throughout the day. Say goodbye to boring blinds and drab drapes. With 3M Thinsulate, you get to enjoy the view from your home while also increasing your overall comfort and energy savings. These window films keep the temperature of your home where you want it, no matter the time of year. There’s no more guesswork when it comes to setting the thermostat thanks to 3M Thinsulate. Window film doesn’t require and special maintenance or cleaning, a great benefit if you have kids or pets. Thinsulate is safer than other forms of home insulation, protecting your family from potential health problems.